Here are my own book festival statistics: I have counted and I can tell you I attended 35 events, at the book festival and on the other festivals – plays Midsummer and La Maladie de la Mort; The Beggar’s Opera; several brilliant Publishing Salons; Eley Williams and Gwendoline Riley and Andrew McMillan and J.O. Morgan and Ali Smith on Muriel Spark and Owen Sheers and Damian Barr’s salon and plenty more. I had 32 meetings (business and pleasure and usually – as is the way with our line of work – both at once), and bought almost 40 books (and had the subsequent fun time smuggling almost 40 books back to Norwich on a train). I ate a sizeable number of canapes, and very few actual dinners. 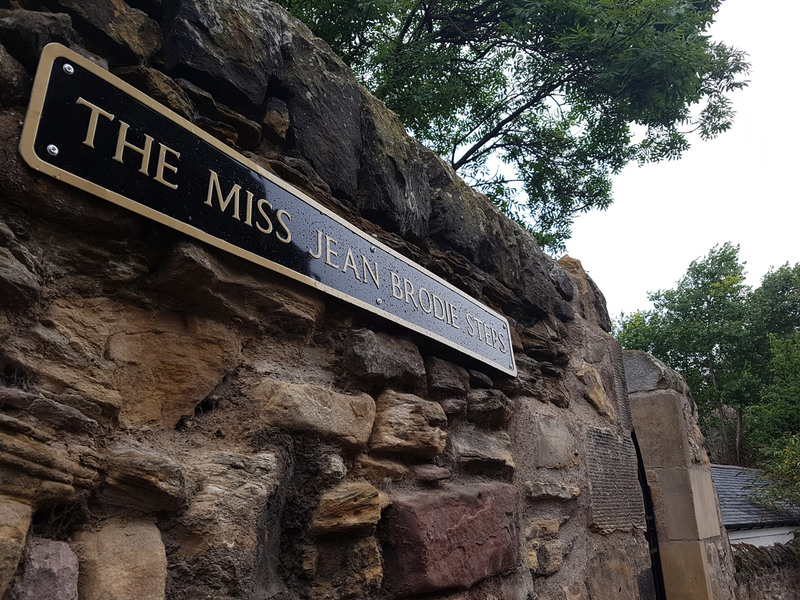 I walked innumerable steps, including the ones pictured below, newly named to mark the route of Jean Brodie and her girls. The spirit of Spark, in this her centenary, presides! Speaking of numbers, here are more: Palestinian writer and journalist Nayrouz Qarmout faced months of delays and two rejected visa applications from the Home Office before her visit to Edinburgh was approved. She hadn’t left Gaza since 1994. It took her 48 hours to get there – after detention at the border and numerous bribes (and she was subjected to extra checks because she is a single woman in her thirties). When the book festival confirmed Nayrouz’s appearance, and advertised the event with her (along with Taiwanese journalist Hsiao-Hung Pai and Brazilian writer and philosopher Djamila Ribeiro), within two days 400 tickets were sold. The event was packed with people for whom freedom of expression and cultural exchange and sharing across borders matter. To whom stories matter. Dragon Hall, the medieval home of the National Centre for Writing, was originally built by Robert Toppes (in the 1430s) to trade wool and other goods hauled in off the River Wensum; now we trade stories. 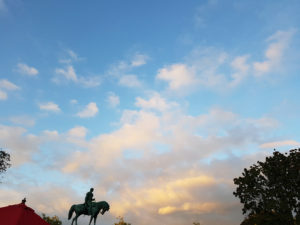 At the National Centre we’re firm fans of the power of stories: difficult stories and hopeful ones; translated stories from our residents from Korea and Iran and Romania (find out more about our residency opportunties! ), and stories from down the road. In helping people to write and tell their own stories, and in supporting the translators (more information on Emerging Translator Mentorships) who enable us to read stories from other countries. Working with schools and young people to share the magic in stories, and bringing stories from all over the world to Norwich, our UNESCO city of literature, and refuge and welcome. The festival season has a way of moving at warp speed: of encouraging you to pack as much in as you physically and chronologically can: to do more, bigger! But as Nick’s statement concluded: “I wish there was also an index of enlightenment, or an exuberance-o-meter to show how the Book Festival also contributes to Scotland’s knowledge, happiness and well-being.” Needless to say, after such a feast of stories and joyful encounters, my index-of-enlightenment is beaming and my exuberance-o-meter is well and truly off the charts.